Being located in the Park Royal Shopping Centre is especially convenient for our patients, with ample free parking at the mall and our upper-level office (just steps away from the Brick) is easily accessible by escalator or elevator. New patients are always welcome, our Park Royal dentists and staff always put in a little extra to make newcomers welcome and entirely at ease with their visit – whether that’s for a routine check-up or anything a little more involved. We’re known for helping people have great teeth, and we’ll be happy to do that for you too! The office features a bright, modern decor and of course all of the most modern dental technologies that allow us to provide dental hygiene, corrective and cosmetic dentistry, and restorative dentistry. This includes crowns, bridges and other more intensive procedures that help to restore your teeth for both functional and aesthetic purposes. Patients receive dental exams and x-rays as needed, and you can trust that our West Vancouver dentists and dental staff will be very proactive in making you fully informed of the status of your teeth’s health and what you can be doing to improve it. At South Park Royal Dental, we try to make it a 2-sided effort, with both you AND your dentist doing their part in taking great care of all 32 of those teeth of yours. After all, a nice set of pearly whites and a solid bite is totally worth the effort! Visit Your Local West Vancouver Dentist Today! 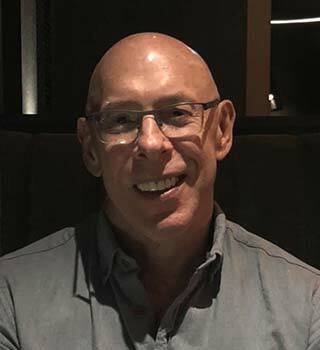 Dr. Richard Roston, General Dentist, is a graduate of UBC’s dental school and has been at South Park Royal Dental for nearly 25 years now. 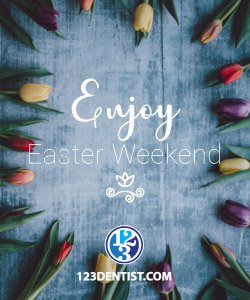 He takes pride in being a dedicated professional who puts the well-being of every patient at the forefront and promotes the value of good dental hygiene all through life. Being a resident of West Vancouver and an active lifestyle enthusiast, he enjoys seeing his patients out and about in the community just as much as seeing them in his office. If you’re looking for a dentist in West Vancouver, please do stop by and introduce yourself. Dr. Hussain Hussainy Nasab, General Dentist, graduated in 1997 from Bangalore University in Bangalore, India. He then conducted lectures on dental materials, and pre-clinic prosthetics at the University for a year after his graduation. Dr. Hussainy then moved to Kingston, Jamaica where he worked as a dentist, and volunteered in a mobile clinic for patients that could not afford dental treatment. In 2011 Dr. Hussainy joined the University of Alberta to do 2 years of a recertification program to maintain his license in Canada. In 2013 he moved to Winnipeg to join his sons and wife who was at the time completing her family physician program. 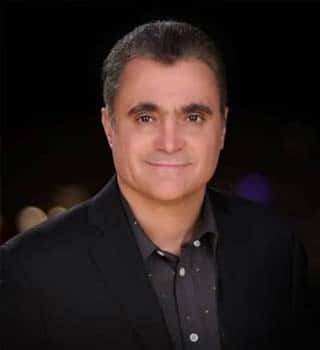 Dr. Hussainy has had the opportunity to work and live in many different places around the world, and because of this, he is able to speak 4 languages such as Hindi, Urdu, Persian (Farsi) and English. Dr. Shabnam Abbasi was born in Tehran, Iran. She completed her DDS at the Shahid Beheshti University of Medical Sciences in Tehran in 1999. After moving to Canada, she successfully completed the National Dental Examining Board of Canada in 2017. 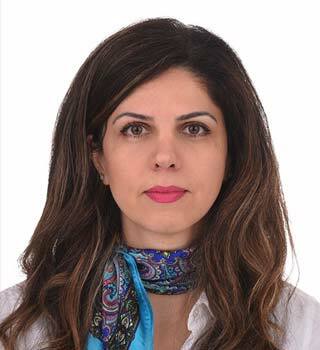 She is currently a member of College of Dental Surgeons of British Columbia (CDSBC), Canadian Dental Association (CDA), and Vancouver Iranian Dentist Association (VIDA). She enjoys keeping up to date with the latest advances in dental treatment options and provides a relaxing environment for her patients to feel comfortable in. Dr. Abbasi is happy to help you in English or Farsi. Visit her today! Rick and staff are some of the most professional and attentive dental business I’ve ever used. They should be commended for the hard work and commitment to customer service they provide. Kudos to south royal dental office. My first visit was in 1993/1994- 2019, Rick must be pretty gosh darn it good. Can't say enough good things about Dr. Richard Roston and the rest of the team at South Royal. Suffice it to say that Rick has been my dentist for decades and will remain so as long as I have teeth in my head. He's a consummate professional, always up date on the latest research, dental procedures and technology. You won't find a better dentist on the North Shore. Dr. Roston is the best dentist. He always puts patient’s needs first, also he is very kind and professional! This contest is finished, and we gave away 2 family passes to Vancouver’s Aurora Winter Festival. We selected our winners in the Aurora Winter Festival family pass giveaway. We want to congratulate the winners, and say a special thank you to everyone who entered. The winners will be notified by email. This contest consists of a raffle called the “Finish 2018 with a smile” contest. Contest runs from Monday, November 26th at 9am, until Monday, December 10th at 6pm. Entries will only be accepted through the Rafflecopter submission form, available on this website. The draw will be held on Tuesday, December 11th at 10am and winners will be notified the same day. There are two (2) chances to win, with two (2) prizes to be awarded: consisting of a Family Pass for the Aurora Winter Festival. Entrants are responsible for providing accurate contact information with their entries; in the event the winner is unable to be contacted, a replacement winner will be drawn and the original winner will forfeit the prize. Contest is open to all BC residents who have reached the age of majority by the contest draw date. 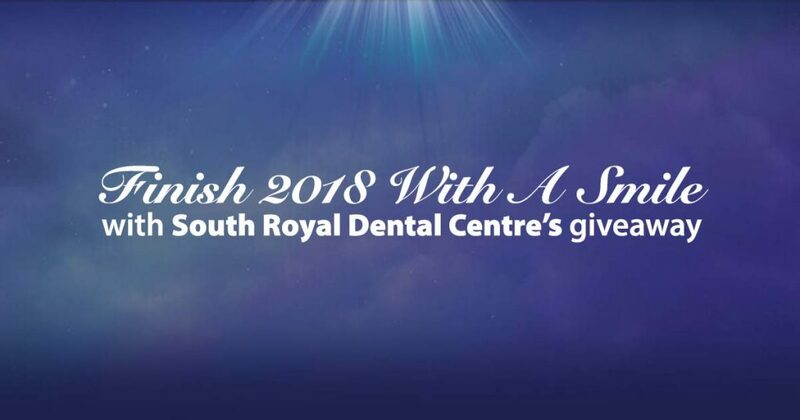 Prize must be accepted as awarded, with alternative prize available, at the discretion of South Royal Dental, in the event the winner is unable to attend the festival on the dates available. Due to regulatory changes from the CDSBC, dental offices are no longer allowed to offer discounted services to attract new patients. However, through our network of 123Dentist community dentists we often have contests which we will post here. When we have offers, contests, or other promotions, they’ll be here. We are looking into different ways we can help make your dental experience more rewarding, and will update this when we have something new. At South Royal Dental Centre, we’re very proud and fortunate to be members of BC’s own 123Dentist – Community Dentist Network.